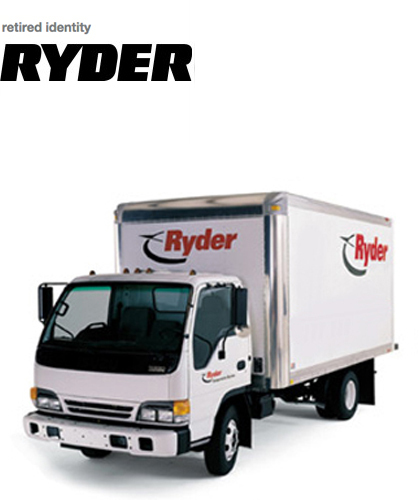 For decades Ryder Systems’ primary business had been the rental of trucks to the consumer and light commercial (small business) markets in the United States. But by 1994, the Ryder integrated logistics unit was generating 80% of Ryder’s annual revenue. In the public’s mind, however, the Ryder brand was tied to the familiar yellow truck, move-it-yourself consumer rental business that was generating only 10% of the company’s sales. Ryder couldn’t seize market share if customers didn’t know what Ryder did nor could the company maintain premium pricing if its products didn’t appear to provide added value. The Ryder identity program serves to help reposition Ryder in the marketplace as the high-technology integrated logistics expert it truly is. The compass suggests navigation and precision, the cornerstones of integrated logistics. A supporting branding system better communicates the company’s shift in focus, clarifies a broad array of services and better links highly independent business units to the master brand.